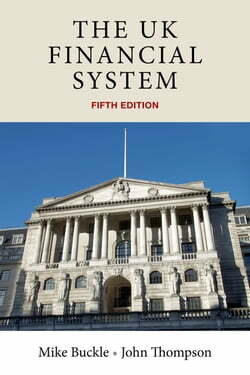 This book provides an up-to-date discussion of the UK financial system and the changes affecting it. The Twenty First Century has witnessed a sea-change in regulation of the financial system following the financial crisis of 20078. Prior to the financial crisis in 20078 the official policy was... read more directed to deregulating the financial system, whereas post 2008 the move is towards increased regulation. This caused changes in the nature and behaviour of the institutions and the regulatory authorities, with the result that existing texts quickly become dated. The aim of this book is to bring the discussion right up-to date. Coverage includes a critique of the UK financial institutions and markets as well as regulation emanating both from within the UK and also from supranational bodies such as the Bank for International Settlements and the EU. The discussion is based on both the underlying theory as well as the operating practices of the institutions and markets. Each supplemented by a comprehensive glossary, the book is subdivided into three main sections plus introductory and concluding chapters. These sections cover i) financial institutions ii) financial markets and iii) regulation of banks and other financial institutions. The advantage of this structure is that the book can be used for a full course on the UK financial system or for the individual components on a modular basis. Each chapter contains comprehensive statistics to supplement the narrative. The book will be essential reading to lecturers and undergraduate students enrolled on courses in financial economics and banking.